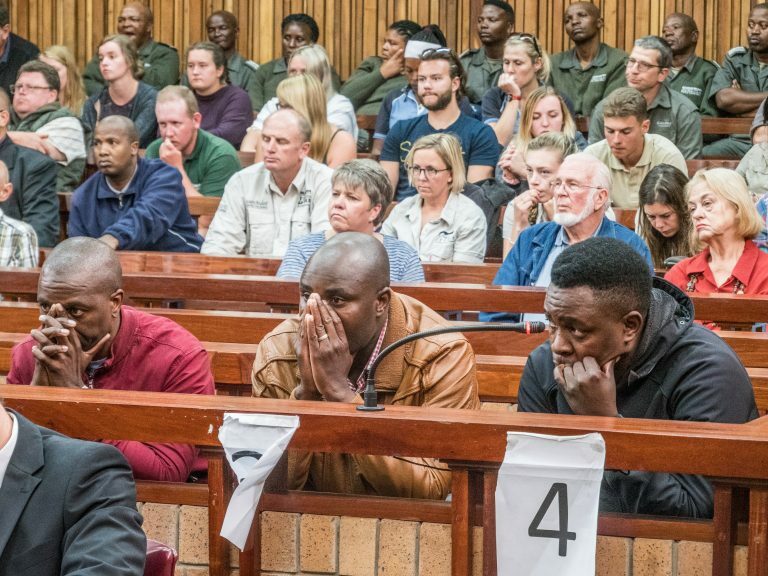 Three rhino poachers have been sentenced to 25 years in jail each by a South African court, probably the toughest punishments ever given in a country hard hit by killings of the threatened species, officials said on Wednesday. The three poachers from Mozambique were arrested in South Africa's Kruger National Park in July 2010 with two freshly chopped horns, rifles and an axe, South Africa National Parks said in a statement. 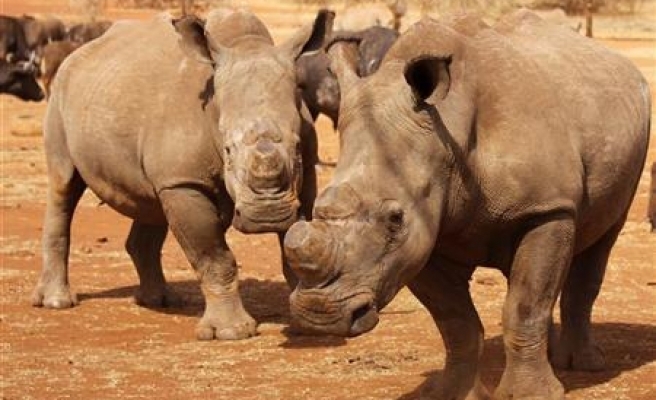 "The sentencing of these poachers is an indication that as a country we are taking more stringent measures in the fight against rhino poaching," said David Mabunda, chief executive of the park service. Until now, poachers were typically given up to a few years in jail or fined. The maximum sentence for illegal rhino hunting is 10 years in jail, and for possession of a prohibited firearm 15 years jail, the park service said. The three poachers received the maximum sentence for each offence, to run consecutively - a longer jail term than those many courts hand down to convicted murderers. A record 448 rhinos were poached last year in South Africa, home to the greatest number of the animals, as rising demand in Asia for their horns led to an increase in illegal hunting. The street value of rhinoceros horn has soared to about $65,000 a kilogram, making it more expensive than gold and platinum, as a belief - with no basis in science - has taken hold in recent years in parts of Asia that eating it can cure or prevent cancer. A decade ago South Africa, home to more than 20,000 rhinos, was losing about 15 animals a year to poachers. But poaching has increased dramatically since about 2007 as the spread of wealth in places like Vietnam and Thailand has enabled more people to buy rhino horn for use in traditional medicine. The number of rhinoceroses dying unnatural deaths in South Africa, through illegal poaching or legal hunts, has reached a level that will reduce the population if not checked, according to a study by Richard Emslie, an expert in the field. About half the poaching takes place in Kruger, the country's flagship park bordering Mozambique, where soldiers and surveillance aircraft have been deployed in recent months to slow the carnage.